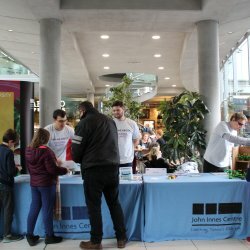 October 2018 saw the 3rd Norwich Science Festival and once again The John Innes Centre, and our colleagues on the Norwich Research Park attended in large numbers. 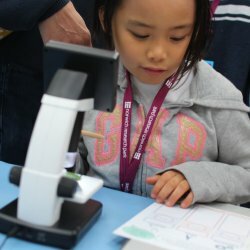 The Festival is a chance to showcase our work to a huge number of people, and is an opportunity for members of the public to meet lots of lovely scientists. 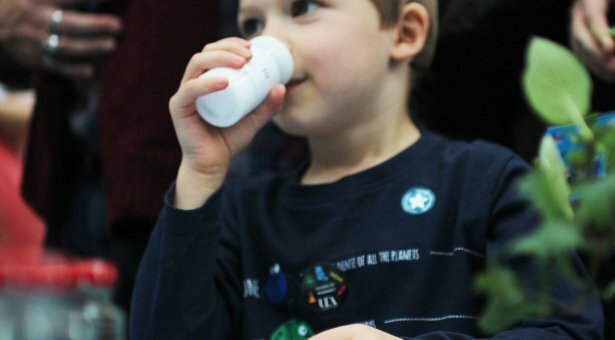 This year we ran two brand new activities, related to our research, to shine a light on our work and let local people know more about what goes on at the Institute. 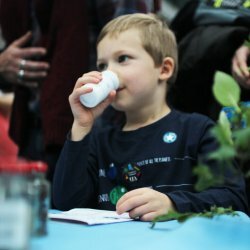 Two new hands on exhibits, ‘build a plant’ and ‘common scents’ happened in the forum, in the free Explorium drop in days. 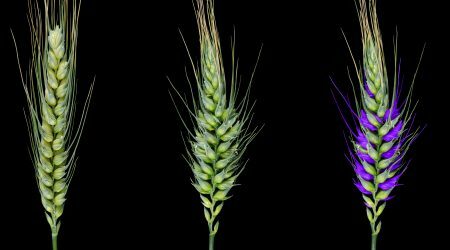 Alongside these two activities our staff gave talks and ran science café events exploring work on crop improvement, antibiotics, genetics and butterflies. In this blog we’re going to take a quick tour through a tiny proportion of the frankly epic 2018 programme. This year saw over 175 events, spread over 9 days and the fine city of Norwich. Sit back and relax as we walk you through a selection events and activities from around the Festival and look through social media at the things you, and I, may have missed. For me, this year’s festival started on Friday 19th October at the fun geeky quiz, Universilly Challenged with Simon Watt and Jonny Berliner. It was great fun. We didn’t do very well as a team, but we enjoyed rounds such as Scientists or Bond Villain, and DingBATS. 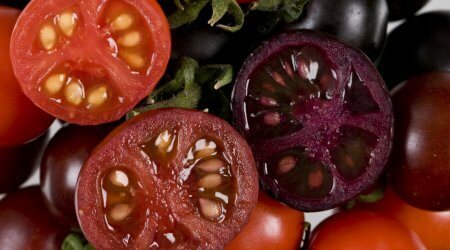 Jonny and Simon host this event around the country, so if you’re a bit geeky and like puns then you’d probably really enjoy giving this quiz with a difference a go. Sadly, this was the only event that I made it to that I wasn’t involved in directly. This year’s Festival attracted more visitors than ever from across the county, the “headline” show was undoubtedly, “A brief safari into the wild mind of Chris Packham”. We’ve heard reports of “Queues around the block” to get into the venue, and it was sold out before the festival brochure was printed. The festival was buzzing with the feedback throughout the week, it was a fantastic chance to hear from one of the UK’s best-loved broadcasters. Packham was a firm childhood favourite of mine, and his more recent co-host role in the BBC “watches” – Spring Watch, Autumn Watch etc, has seen a welcome return of informative and fun nature to primetime TV. 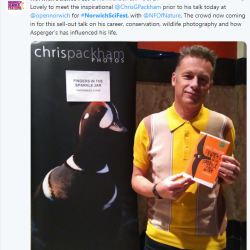 The feedback I heard of the event throughout the Festival, was that it was enlightening to hear about Packham’s experience of Asperger’s, something he is open about and share insights into how it affects him and his work. It was applauded by all who had the pleasure of attending this fabulous event. Adrian describes it as a musical journey into the fundamental processes of living cells. His interest in architecture and science made this a great choice for a Monday night out. Art and science are often seen as divergent paths, but here they combined to bring something new and different to the time and space of a darkened chamber illuminated by the flickering of life. Another member of the comms team, James Piercy, presented a talk on neuropsychology exploring the assessment of cognitive function. Sharing tests from his medical notes, and solving the Rubik’s cube while speaking. 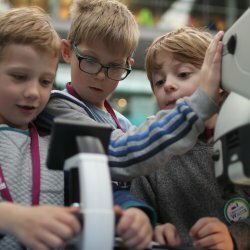 The FREE and drop in Explorium gave anyone who visited a real taste for the science and engineering that happens in and around Norwich. A highlight for many visitors to the forum was the walk through gut, an interactive exhibit showing the microbiome in a whole new light. Guardians of the Gut from the Quadram Institute which had queues on multiple days throughout the science festival. Find out more about the exhibit and it’s creation. Each and every day the Explorium had a new theme including Water, Nature, Physics, Astronomy, Chemistry, Health, Technology and Engineering and gave anyone a chance to get hands-on and meet scientists from the region. 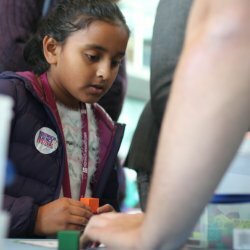 There was a great atmosphere in the Explorium, it was full of visitors looking to find out more, and there were plenty of keen scientists and engineers looking to share the real-life world of their research. The set of collectable cards were a great hit, and they contained information about the research areas, or organisations and some facts or an experiment to try at home. Each day, as new exhibitions arrived, new cards also arrived, perfect for those repeat visitors and gave everyone something they could get inspired by. The final day saw the team from John Innes creating plants from Lego and despite the wet weather large numbers of visitors. The rain didn’t stop people visiting soap-box science either. 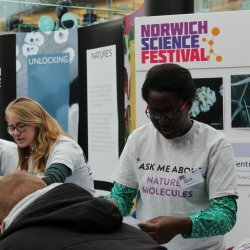 Organised by the Teacher Scientist Network researchers established a STEMM speakers’ corner in Norwich’s Haymarket, with women working in science sharing their work and showcasing the role of women in science. The festival has grown enormously since 2016 and I can’t wait to see what happens next year as the event becomes part of Norwich’s exciting cultural programme. 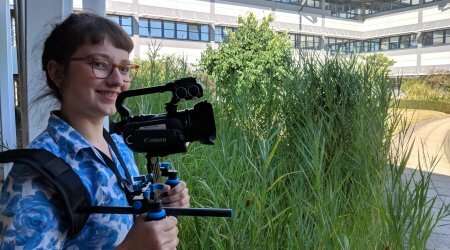 Meet Ruby O’Grady, the Communications Officer in the Communications and Engagement team.